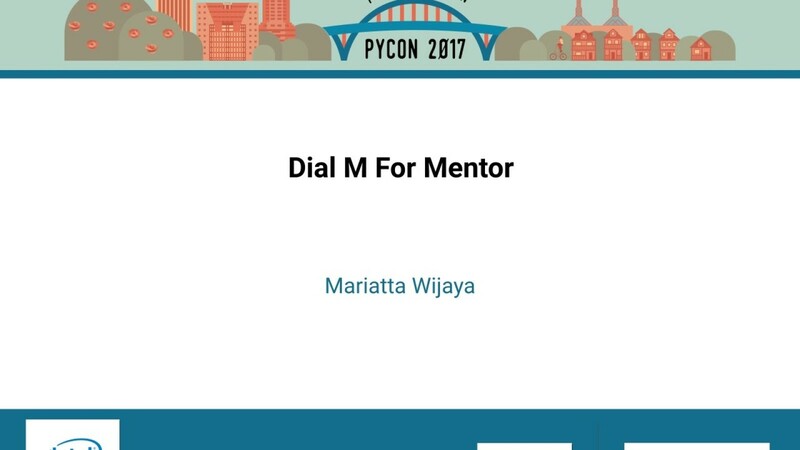 Mariatta is a Python Core Developer and works as a Platform Engineer at Zapier. She moved to Canada almost two decades ago, and now considers Vancouver as her home. 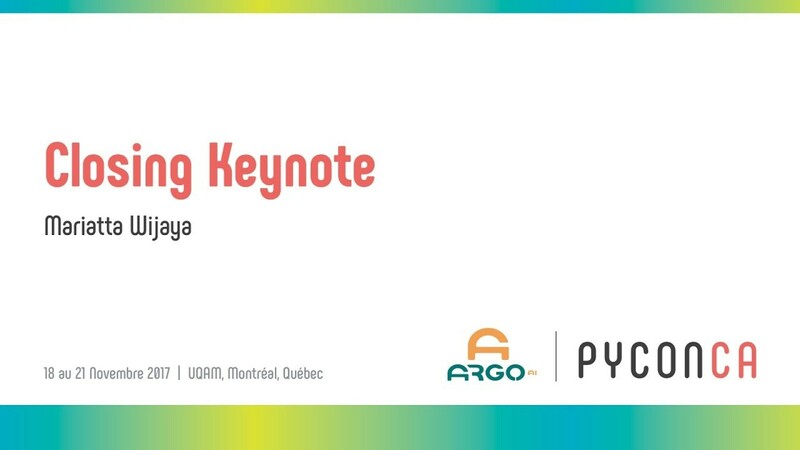 She contributes to CPython, Python Developer's Guide, and help maintains Core Python's GitHub bots. 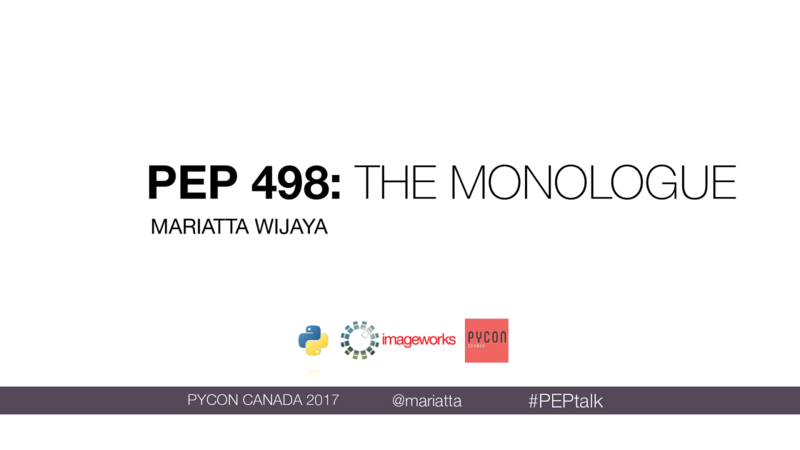 Mariatta helps organize Vancouver PyLadies and is one of the founding members of PyCascades conference. 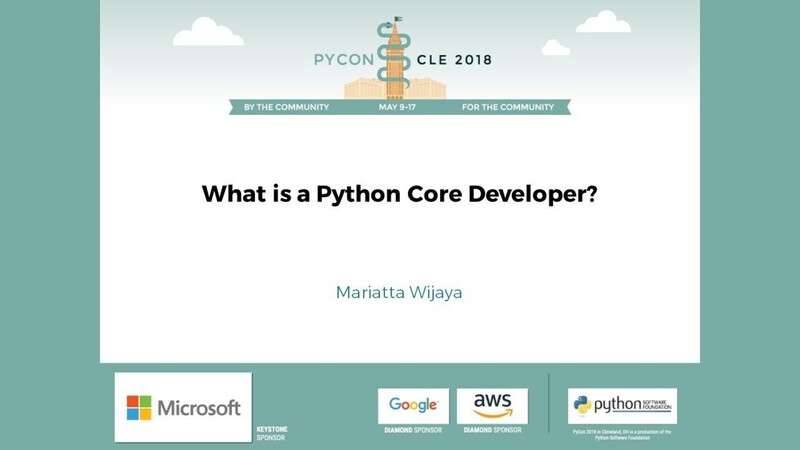 How do you become a Python core developer? How can I become one? What is it like to be a Python core developer? These are the questions I often receive ever since I became a Python core developer a year ago. 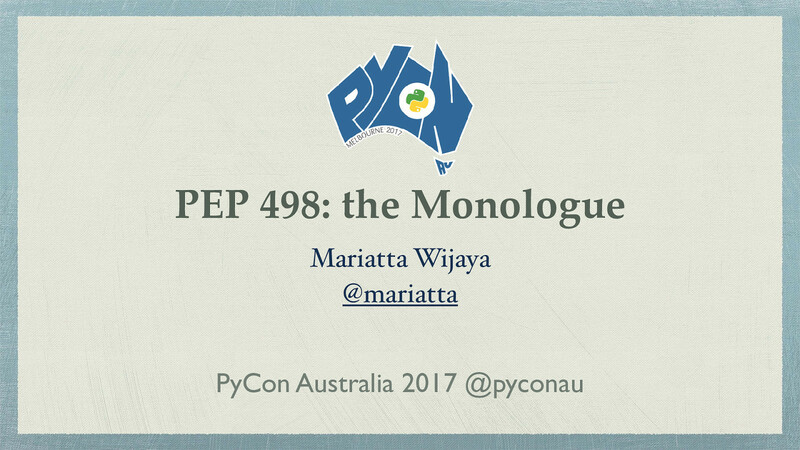 Contributing to Python is a long journey that does not end when one earns the commit privilege. There are responsibilities to bear and expectations to live up to. 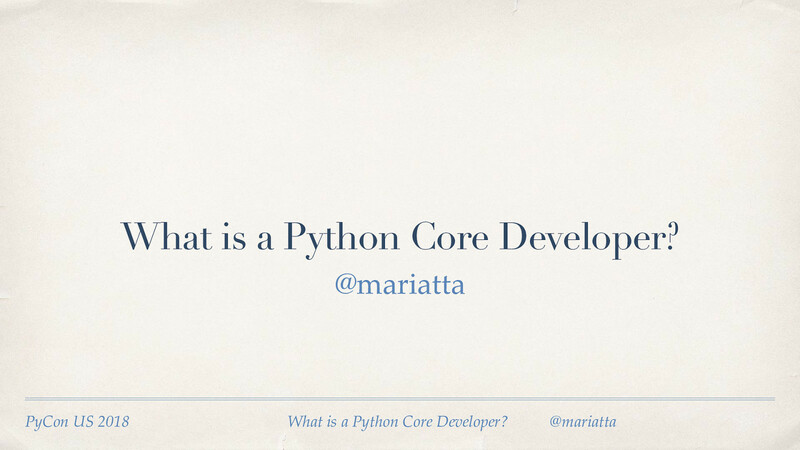 In the past year, I've been learning more about what it really means to be a Python core developer. Let me share all of that with you. 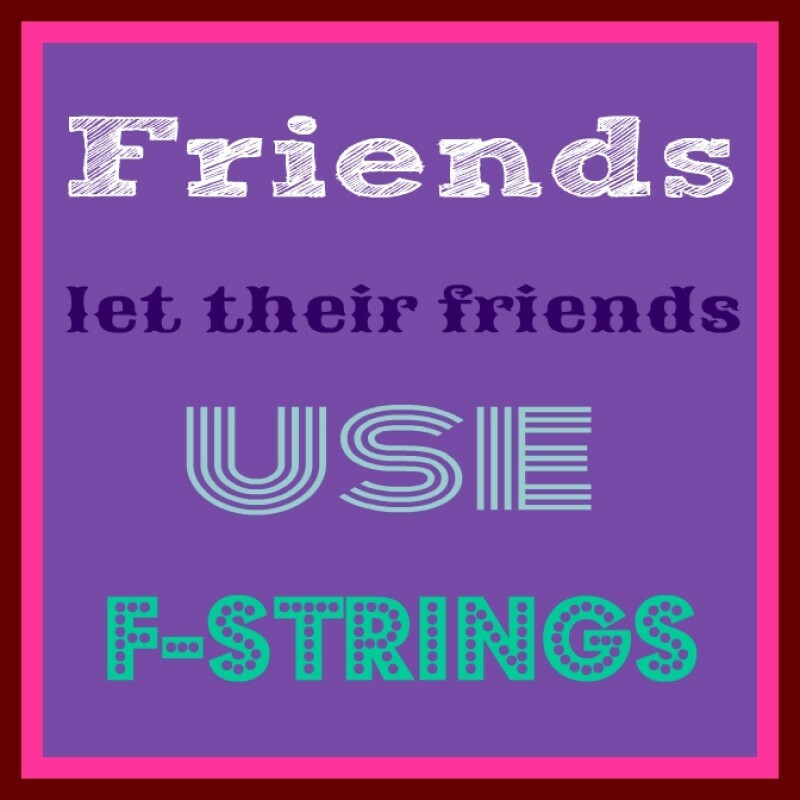 Mariatta puts presentations on for free. You can too.